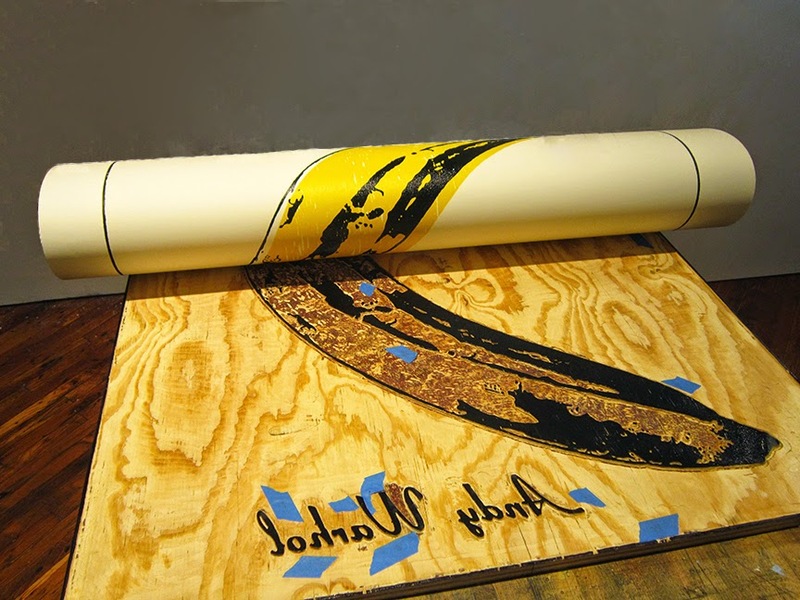 Studio view of Nils Karsten's hand-carved woodblock along with Banana (2014), a woodblock print in two colors. 38 1/2 x 38 1/2". Edition of 12 unique variants. Published by Alden Projects™ for NADA Miami Beach 2014.